Kimberly K. French is a Vermont-based marketing and communications executive with extensive international experience in the culture and financial services sectors. Kim’s previous positions include Chief Marketing Officer for Qatar Museums in Doha; Deputy Director, Communications, Museum of Fine Arts in Boston; Senior VP, Marketing, Fidelity Investments. Kim currently serves as President of the Board of Trustees at the Woodstock History Center and as a Town Development Review Board member. Jane Gilbert, Chief Resilience Officer, City of Miami, is committed to strengthening communities – economically, socially, and environmentally with diverse stakeholder to develop and activate integrated solutions. Jane is a widely respected, experienced executive across the private and non-pofit sectors with significant service as a Trustee and Board Director for the causes that animate her work. Jesse Levin, Serial Social Entrepreneur. Jesse is the Founder of Tactivate, an initiative that integrates the military veteran special operations community with the start-up ecosystem to leverage the communication, leadership and innovation skills of military personnel in the holistic development of community, culture and strategic partnerships in the private sector. 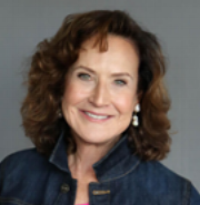 Jane Wesman, President and Founder of Wesman Public Relations, Inc. serving book publishers with publicity and marketing strategies and author (Dive Right In – The Sharks Won’t Bite: The Entrepreneurial Woman’s Guide to Success, 1995). Jane also serves as President of the NYC Chapter of the National Association of Women Bsuiness Owners. Jane and her husband are contemporary art collectors and keep a second home in Miami Beach.